Health funding grew more than any other category, but is still far below national levels. 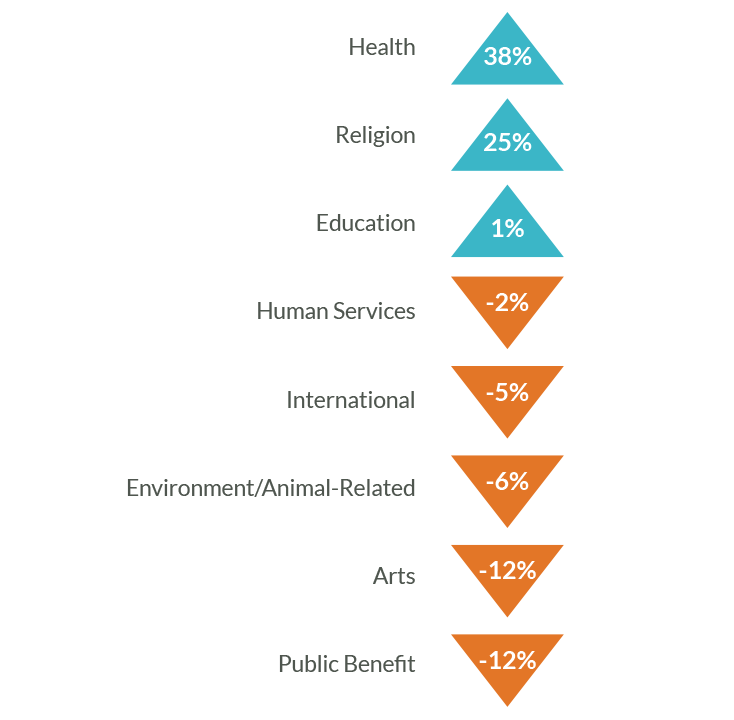 As in previous Trends reports, national funders gave the highest proportion of dollars to health-related issues (22%). Northwest funders, by comparison, gave a relatively small proportion (11%) of overall dollars to health in 2012. However, comparing 180 funders who gave to the region in both 2010 and 2012, overall health dollars are on the rise—up 38% from $69 million to $95 million. This considerable increase was driven mainly by contributions to hospitals and health systems (+151%) for capital projects and medical research (+36%).